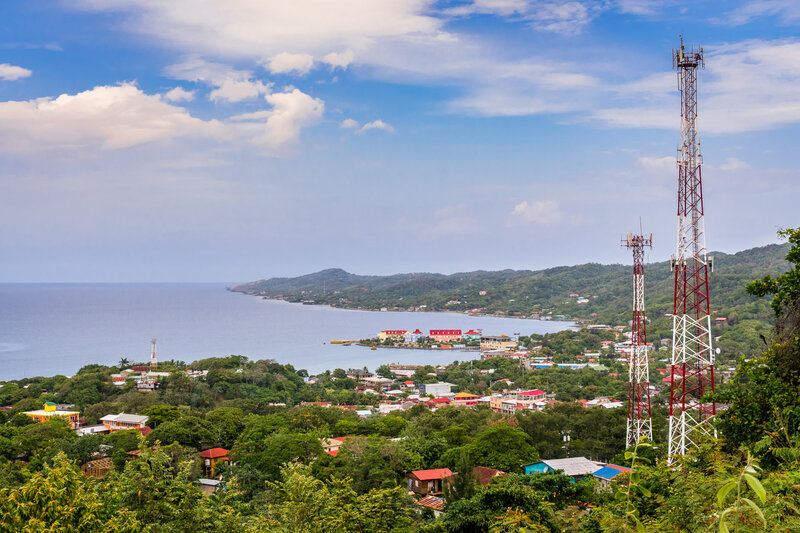 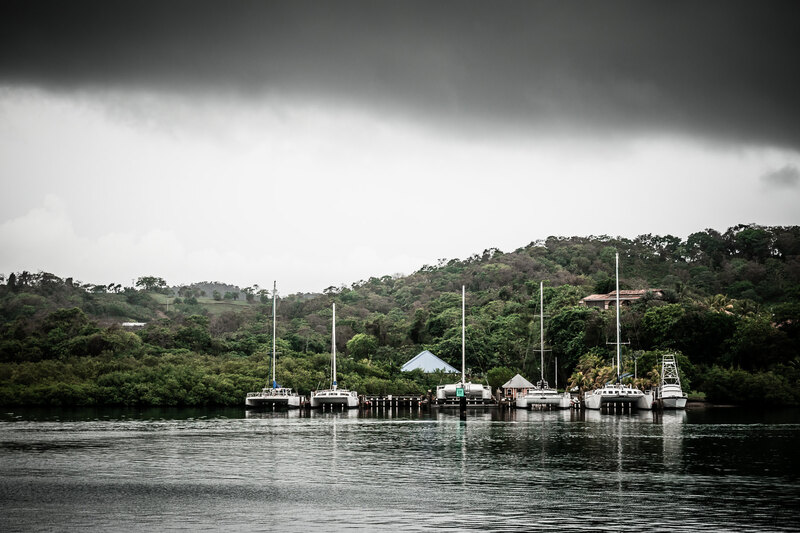 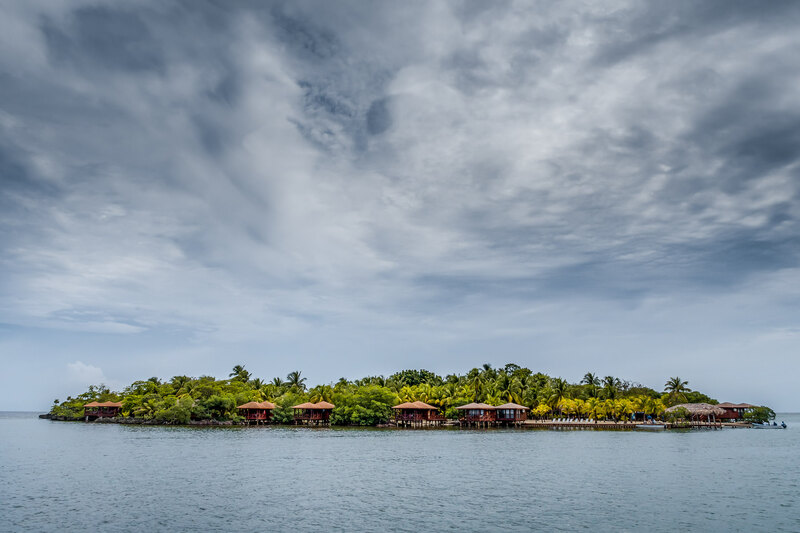 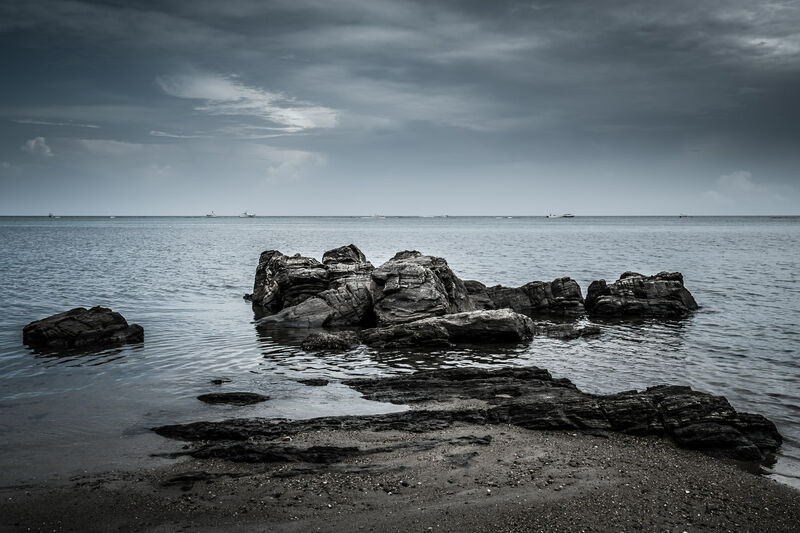 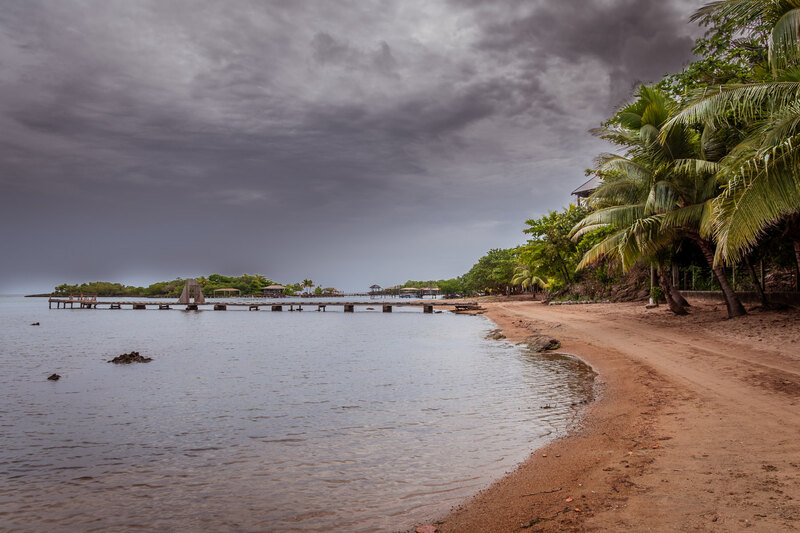 A rainstorm approaches Roatan, Honduras. 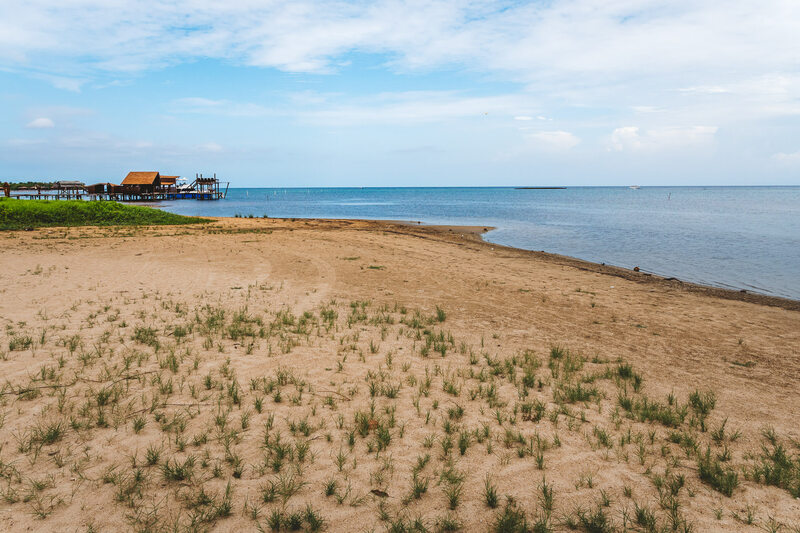 Grass grows on a sandy beach on the island of Roatán, Honduras. 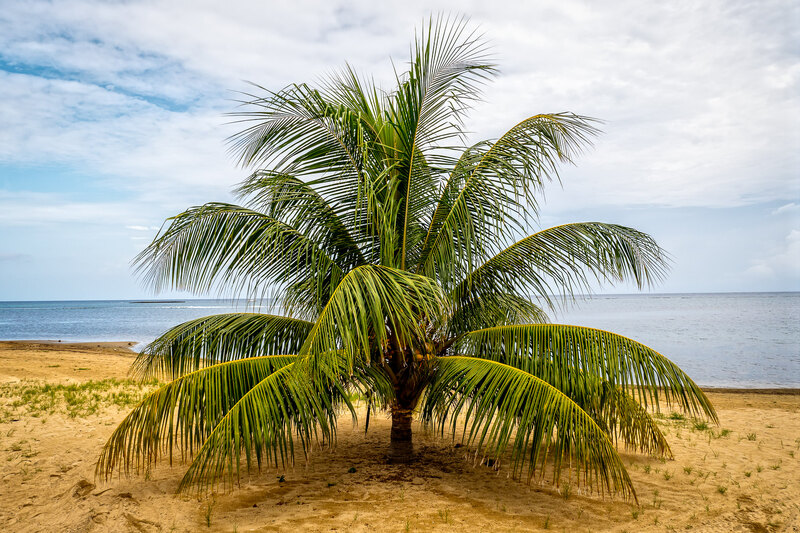 A short palm tree grows on a Roatan, Honduras, beach. 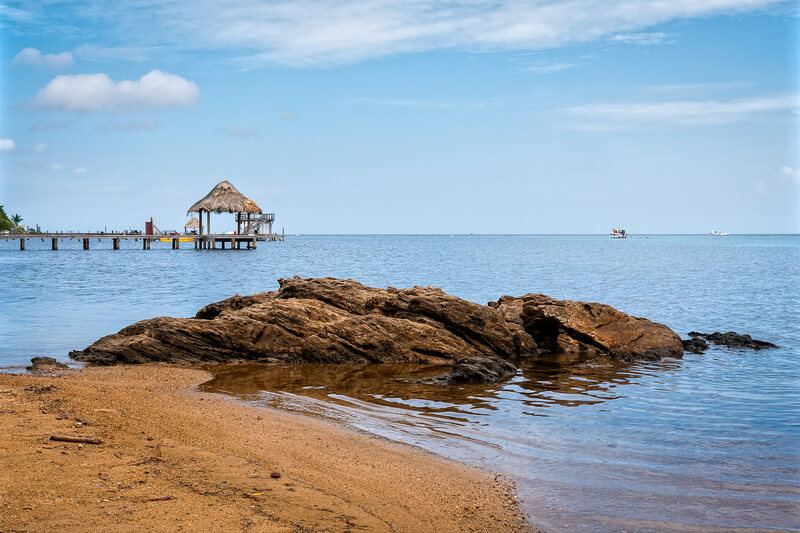 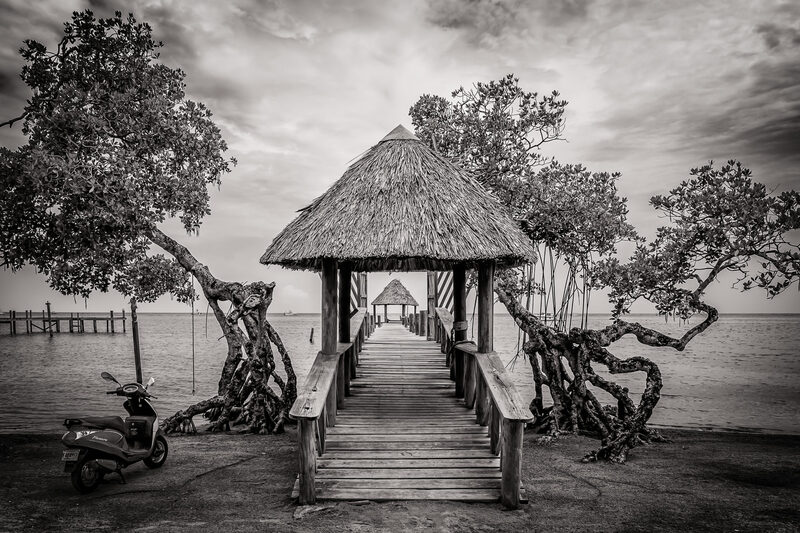 A scooter sits parked on the beach next to a pier on the island of Roatan, Honduras.